We are offering Psoriasis Treatment to our customers. 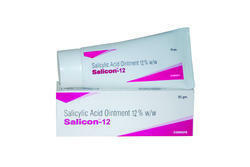 We are offering Salicylic Acid Ointment 12%. 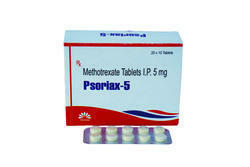 We are offering Methotrexate 5mg Tablet. A valuable alternative in Psoriasis shows both antiproliferative and anti-inflammatory effect. Also, Reduce the incidence of vascular diseases in veterans with Psoriasis or Rheumatoid Arthritis. Considered as an appropriate first-line Choice in Erythrodermic Psoriasis. A Treatment of choice in Childhood Psoriasis. Sub acute cutaneous lupus erythematosus. 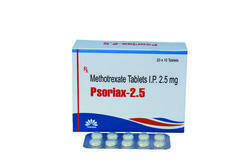 We are offering Methotrexate 2.5mg Tablet. A valuable alternative in Psoroasis shows both antiproliferative and anti-inflammatory effect. Considered as an appropriate first-line Choice in Erythrdermic Psoriasis. Sub acute cutaneons lupus erythematosus. 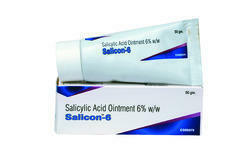 We are offering Salicylic Acid Ointment 6%. We are offering Methotrexate 7.5mg Tablet.